Links Global provides clients with a dynamic portfolio of communication and management consulting services to help clients meet their goals. We are a full-service consulting agency located in the fast-paced business hub known as the DMV (Washington DC, Maryland, and Northern Virginia), with satellite offices in Los Angeles, Miami, and Puerto Rico. Strategy planning involves working across all levels in the organization to help find the causes and solutions to the most complex problems hindering success. By deconstructing and analyzing the issue we are able to advise clients on the design and implementation of a change strategy. We provide subject matter expertise in healthcare, environment, technology, media and telecommunications, security management, social entrepreneurship, contact and fulfillment operations, and risk and crisis management. Links Global engages with organizations and communities to uncover the causes of conflict and create social awareness and find creative actions to build and promote peace. We use an array of tools and protocols to analyze conflict, develop negotiation and mediation strategy, leverage deep communication, and create supportive systems and effective relationships. Marketing communications entails generating the highest value exchange for the organization and reinforcing the brand positioning to cultivate a strong, positive, and consistent interaction with clients. A strong marketing strategy requires deep industry expertise and analytical skills, along with keen understanding of market and audience trends and drivers that generate actions with measurable long-term value for the organization. To create a results-driven marketing strategy we tap into our expertise in business and social science research, and industry knowledge of the latest most effective methods and channels to reach the audience. We also provide high level monitoring and evaluation expertise to measure if plans are working according to expectation. Our marketing team advises clients on market potential and trends, audience insights, brand strategy, advertising, customer relationship management, organizational strategy, policy planning, public relations, partnerships, channel strategies, customer segmentation, new product development, media training and leadership promotion, public opinion and communication program design, and digital and social media promotion. Our clients come from the public and government sectors, healthcare and pharmaceutical systems, biotech and health technology industry, security organizations, banking centers, crisis management centers, environmental, energy and natural resources companies, and agriculture and food security enterprises. Links Global provides professional services to develop, implement and manage identity brands. We believe that the secret of creating a good brand is clear and succinct communication about the unique and distinct value of the organization versus other competitors. Brand creation involves assessing and analyzing the organization’s identity from the perspective of the customers. Links Global works with organizations to build a good brand that aligns the internal identity of the organization and external image with each other and with its values and mission. Drawing on a comprehensive analysis of the audience, market and competitive offers, we work with clients to create memorable and trusted brands that build a loyal customer base. Links Global advises organizations on the deployment of communication technologies including Internet, wireless networks, cell phones, and other communication mediums to bridge the digital divide between geographical areas, and to connect and communicate with their audience anywhere across the world with ease and convenience. Levering the global acceleration of telecommunications and other innovations, we work with clients to identify opportunities for network solutions, business models, and innovative wireless networks and consumer devices, to reduce costs and enhance program performance in all sectors through affordable access to broadband. In partnership with clients, our team offers expertise in information communication technologies to reduced the supply chain delivery costs, coordinate integrated systems, and generate rapid results for research, and response programs. We specialize in providing services to public sector agencies, healthcare and pharmaceutical systems, security organizations, banking centers, crisis management centers, environmental and natural resources programs, and agriculture and food security enterprises. Links Global offers fully integrated management tools focusing on aligning the mission and goals of the organization, along with the strategic priorities of the project at all stages and processes of the lifecycle. 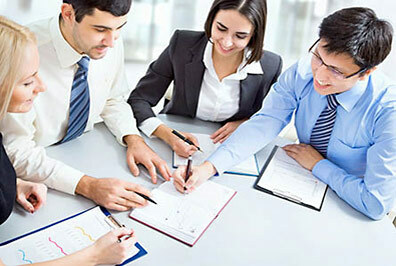 We leverage project and staff management methodologies to deliver goals while meeting budget costs. Our experts work with clients to identify target performance and operations improvements, tech support needs, staffing requests, strategy formulation and implementation, and project management support requirements. We work with clients from around the world to protect their reputation, operations, investor confidence, customer loyalty, employee morale, and community standing during high stress events and crises. 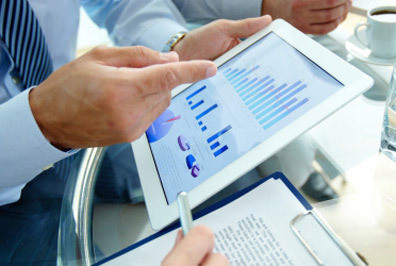 We help clients to manage risk, and plan and respond to crises by designing resilience plans, assessing risks and triggers, researching audience and community profiles, establishing response protocols, gathering information on assets and liabilities, and creating and managing data sources, and knowledge dissemination through digital platforms. Links Global offers clients with mobile technology, data management, and cloud-based solutions that helps support their business strategy, drive change, improve efficiency, and simplify business operations. We work with organizations to assess and determine their technology-related decisions and ensure that their IT organizations and operating models are agile and effective, equipping them to cut through the noise of fleeting technology trends to create enduring results. Links Global helps clients build a dynamic workforce environment with talent that has the right skills and business understanding to increase the value of their organization. Through rigorous research, analytics, and industry insights we help design and implement important initiatives from recruitment planning to talent engagement, vetting and security clearance management, leadership skill building, and growth innovation programs. Our consultancy combines business and technology strategies to help organizations across many industries and geographies focus on critical operational issues and opportunities. We bring deep, functional expertise in small business incubation and start up support, IT, accounting and costing, business capture and procurement strategy development, and grants management.